The pre 2 is a great device. It’s got some amazing hardware including a speedy processor and plenty of ram. Sure, it might be missing a few things like an auto focus camera and a compass, but all the main staples that make a smartphone are indeed present. 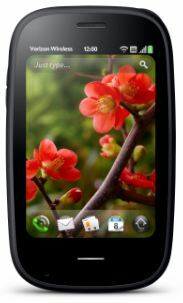 Best of all, this device will be running webOS 2.0. That alone sets the pre 2 apart from any phone on the market today. Therein lies the problem that some people have. 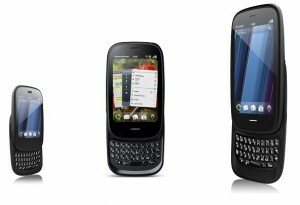 Clearly the pre 2 is the best webOS phone on the market today, but what about when the pre 3 comes out? Clearly the pre 3 is superior to the pre 2 in every aspect — or is it? The pre 3 is larger and will undoubtedly be more expensive than the pre 2. Depending on who you are, these can be some seriously negative attributes. While the both phones will run the same webOS, they are not the same phone. One is not a replacement of the other. The two devices are very different sizes, and will most likely have very different costs. They are two different phones that can very easily coexist with each other. Some people claim that HP is out of touch with the community. I have to disagree with this. Different people have different opinions, and just because you disagree does not mean someone is wrong. Some people want a smaller phone. Some people want a less expensive phone. Some people are content with 1 GHz instead of 1.4. Some people think 3.1″ is more than enough to check their email, play some games, and browse the web. For these people, there is the pre 2. Then, of course, there is the Veer. The one thing I personally hate about smartphones is how much space they take up in my pocket. The Veer solves this problem. It’s tiny (and I mean tiny), yet it runs the same full featured webOS 2.0 as its bigger siblings. Yes there are some trade-offs to make a phone that small, but for some people this will be worth it. If you step back and look at the big picture, HP clearly knows what they are doing. The pre 3 is an amazing flagship webOS device. The Veer is a lower powered, but more pocketable, device. When you see these two ends of the spectrum, it’s clear that the pre 2 fits right in the middle. It has its place. Whether or not it get’s marketed properly, and does well in sales — well, that’s a whole different story. It’s an exciting time for webOS. Let’s make the most of it. Next Next post: Shake It!